Seal N Lock is hosting a FREE event in Florida on March 5th - 7th, 2018! Needing to earn your UAMCC Certification? Check out this free training event being hosted by Seal N Lock to earn free class credits! Seal N Lock is hosting a FREE training event that's going to get you one step closer to your UAMCC Certification! FREE Seal N Lock networking/training event!! Located in Florida on March 5th - 7th, 2018! 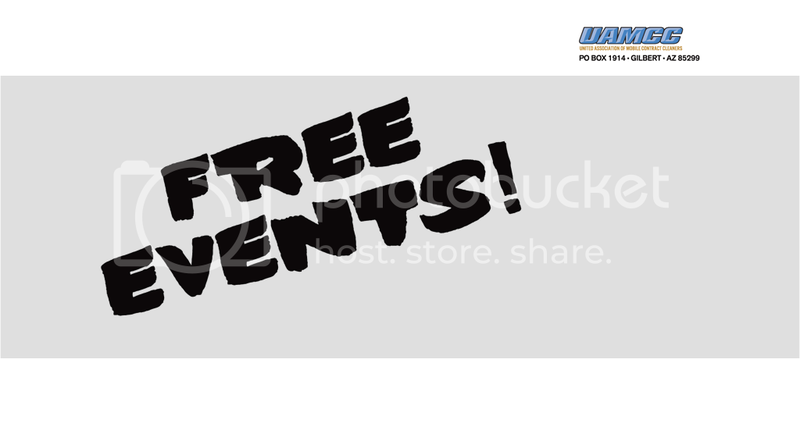 If this FREE event isn't in your area, just click HERE to find one near you! Seal N Lock is hosting an event you don't want to miss! Join us in Florida for this FREE training event on March 5th - 7th, 2018! In need of a little extra training? Visit Seal N Lock in Georgia on March 5th - 7th for a FREE training event and amazing networking opportunities! Seal N Lock is hosting a free training event in Florida! Come join us on March 5th - 7th, 2018! Seal N Lock is hosting a FREE training event in Florida on March 5th - 7th! You won't want to miss it! Seal N Lock is hosting another fantastic FREE training event! It's going to be held in Florida on March 5th - 7th! For more information on this FREE event or others or registering click HERE! Seal N Lock is providing you with another great FREE event in Georgia on March 5th - 7th, 2018! Seal N Lock is hosting another FREE event!! At this event you'll be able to earn class credits that go towards your UAMCC Certification! Seal N Lock is back with another fantastic FREE training event! At this event you'll learn from some of the pros as well as be able to earn class credits that will go towards your UAMCC Certification! Seal N Lock is hosting a truly incredible FREE event you won't want to miss out on! Seal N Lock is hosting yet another incredible FREE training event! Join us in Georgia on March 5th - 7th!! Seal N Lock is hosting an incredible FREE training/ networking event!! Come join us in Georgia on March 5th - 7th! Seal N Lock is hosting a great FREE training event!! FREE Seal N Lock training event coming your way soon!! Seal N Lock is bringing you another FREE training event!! Join us in Georgia on March 5th - 7th!! Seal N Lock is hosting another incredible FREE event! Join us in Georgia on March 5th - 7th! Seal N Lock is hosting a FREE training event you won't want to miss! This FREE event is being held in Georgia on March 5th - 7th!